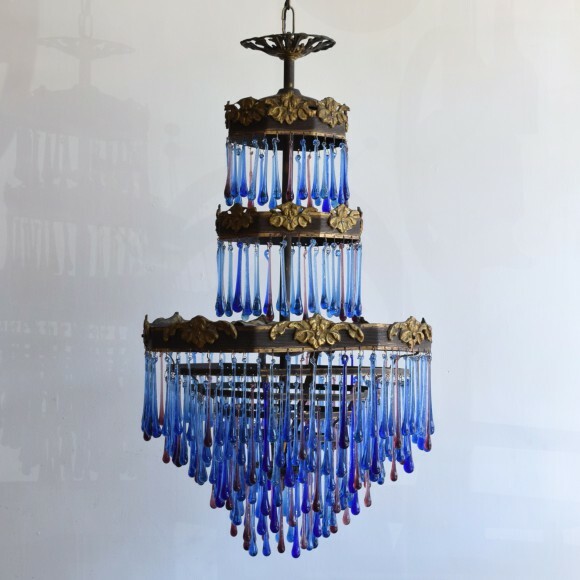 At Agapanthus Interiors we love creating unique lighting designs for each individual customer. 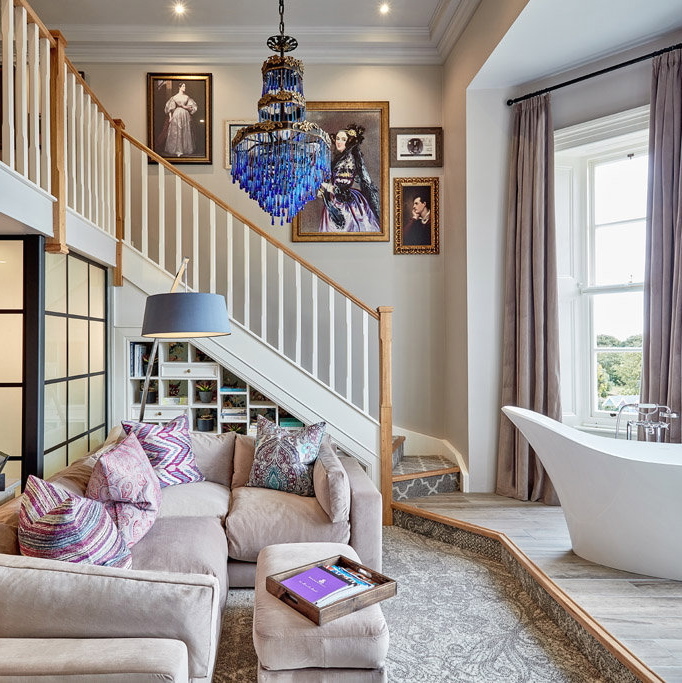 Our most popular and customisable lights are our Waterfall Chandeliers. 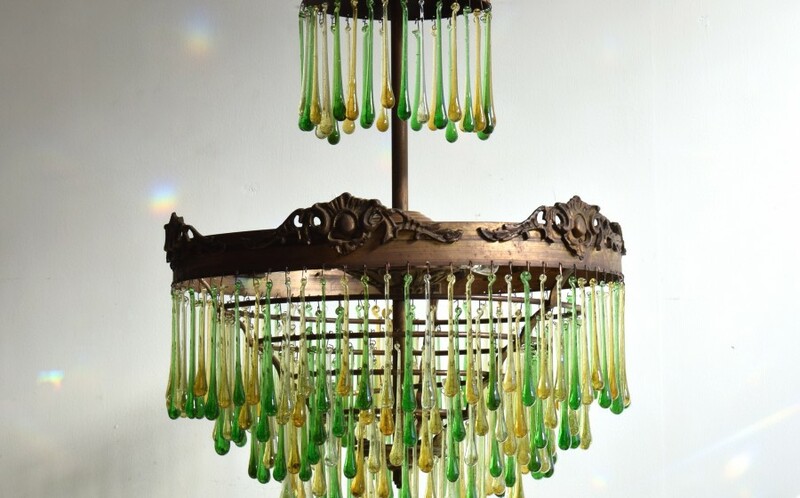 Each chandelier is made from an antique brass frame and adorned with glass teardrops. 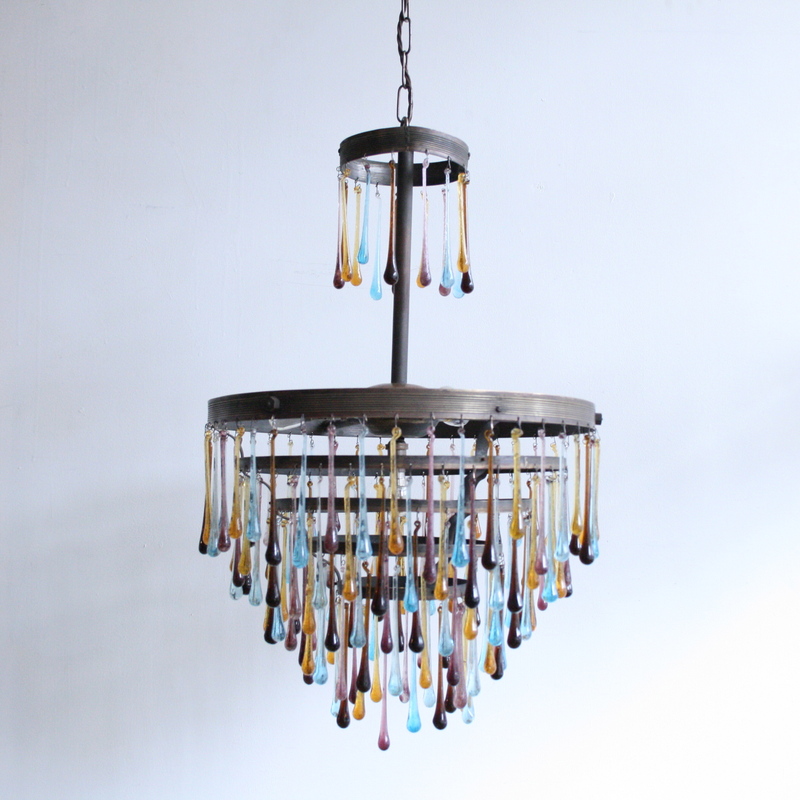 The glass drops are a mix of old and new; we have some handmade so we can offer a wider range of colours. These chandeliers are impactful even when unlit. They can be perfectly tie in all the accent colours in a room and work well to mirror stained glass in feature windows. 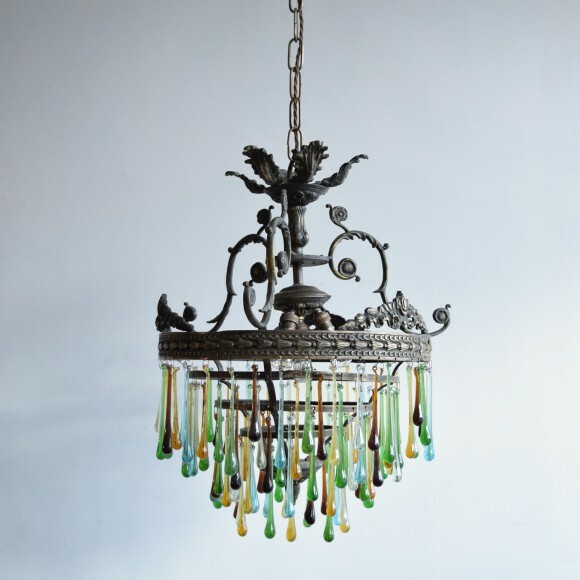 We have also provided these bespoke chandeliers for restaurants, shops and hotels. Here is a stunning example of one of our chandeliers in Seaham Hall, County Durham. Here are a couple of examples of possible colour combinations on a simple sleek brass frame and an decorative ornate one. The glass drops are available in different shades of blue, yellow, amber, green, amethyst and rich brown. Please enquire for more information or to place a bespoke order.